In 2005 Danny Forster answered a Craigslist ad and found himself hosting Extreme Engineering. In 2005, Discovery Channel moved away from their traditional "voice of god" documentary style to something more relatable and immersive. 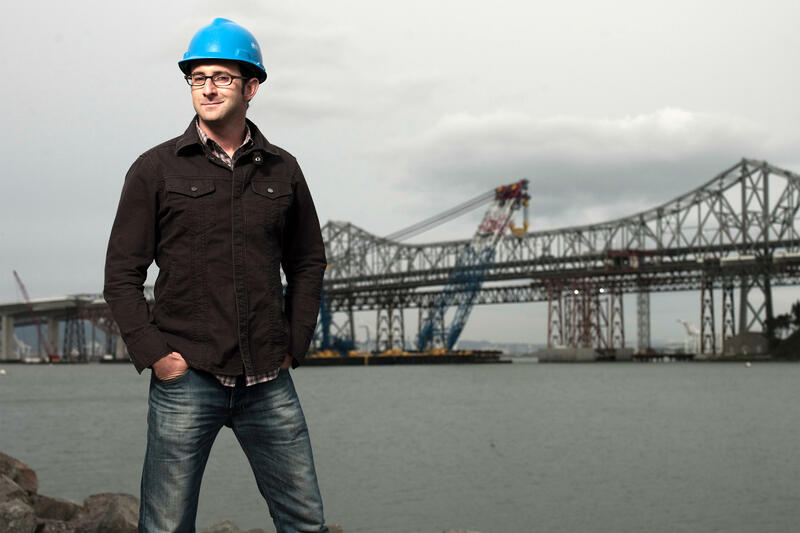 Enter Harvard-educated architect Danny Forster, who on a whim sent an audition tape to production company Powderhouse Productions in response to a Craigslist ad and found himself hosting the third season of Extreme Engineering. The series became so popular, it was rebranded as Build It Bigger and aired on sister network Science Channel. But Danny's relationship with Discovery didn't end there; in 2008 and 2009 he hosted the Discovery Education 3M Young Scientist Challenge, and in 2011, he created and directed Rising: Rebuilding Ground Zero, an Emmy Award-winning six-episode series that was co-executive-produced with Steven Spielberg. Today, Danny Forster is a very busy guy. First, he teaches a graduate level architecture studio on sustainable design at Harvard's Graduate School of Design and at the Syracuse University School of Architecture. Second, he lectures internationally about architecture, engineering, and sustainability, and serves as architecture and engineering expert for Discovery Education, a world leader in children's digital educational content. Third, he continues to helm DANNY FORSTER Design Studio, whose projects include a 35-story Marriott hotel on the southern edge of World Trade Center Site and the first AC Hotel by Marriott in North America, which will be part of the transformative redevelopment of the west side of Manhattan. And, finally, Danny is producing several other projects for film and television, including a television miniseries he is also hosting called How China Works, set to air on the Discovery Channel in December. Like Danny Forster on Facebook and follow @dannyforster on Twitter or Instagram.